Plantation Palms Golf, 23253 Plantation Palms Blvd. in Land O’ Lakes. Free parking and shuttle service is at Harvester United Methodist Church at 2432 Collier Parkway. This Easter-themed family event features outdoor Easter egg hunts for kids and adults and an inside exhibit hall to learn about local attractions, places to eat and fun things to do. Take photos of kids with the Easter bunny and our beautiful Princess. Indoor booths will have representatives providing information about summer camps, museums, day trips, restaurants, specialty shops and area businesses. Fun activities include bowling, hockey shots, a giant Jenga game and an inflatable soccer goal. 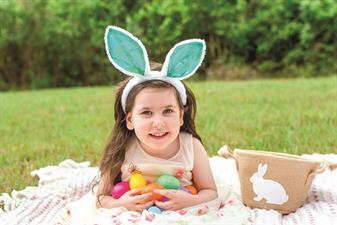 Easter egg hunts begin at 10 a.m. After youngsters find their eggs, they will exchange them inside the exhibit hall for goodie bags loaded with prizes. The adult egg hunt is giving away dozens of fun prizes, including a $100 bill to one lucky participant. This free expo is sponsored by The Laker/Lutz News community newspapers and takes place at Plantation Palms Golf, 23253 Plantation Palms Blvd. in Land O’ Lakes. Free parking and shuttle service is at Harvester United Methodist Church at 2432 Collier Parkway. For additional information, call The Laker/Lutz News at (813) 909-2800, or Event Coordinator Jodie Sullivan at (813) 927-2730. You can also email dkortus@lakerlutznews.comorJodiePitrone@gmail.com.